For the second week in a row, the Bundesliga will have a Monday night game on its schedule. Last week in Frankfurt Eintracht hosted RB Leipzig in a match that was overshadowed by fan protests with fans positioning themselves just behind the advertising banners and then throwing tennis balls on the field right after halftime. 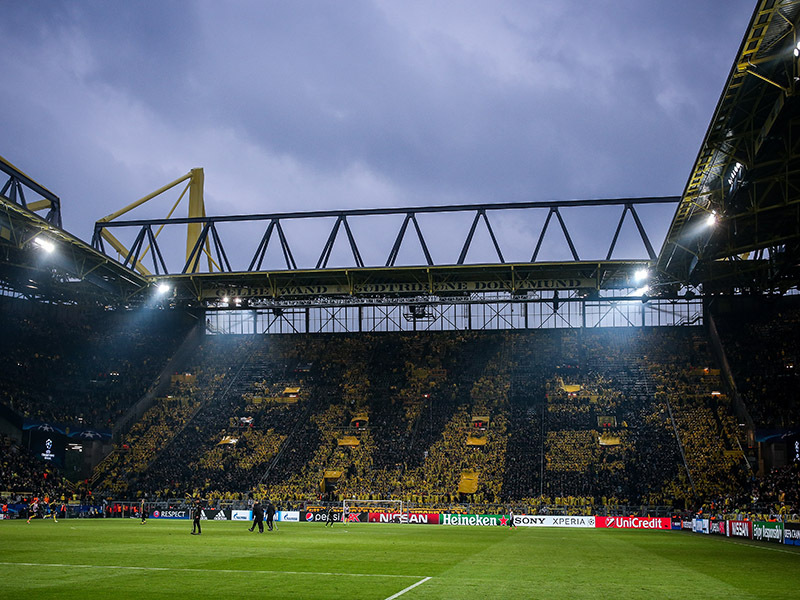 The Monday night game, in general, is seen critical among fans of Bundesliga as they feel that it waters down the matchday even more and prioritises commercial aspects over the needs of the fans. For many fans playing on Monday means that they cannot travel with their club and as a result, many of the away tickets were left untouched last week. Now in Dortmund it is expected that large parts of the Südtribune—Dortmund’s fabled south stand—will remain empty for the match and overall it is likely that the club will sell just 40,000 tickets for the game—Dortmund’s capacity is 83,000—as fans want to use the occasion to protest against the Monday night fixture. The DFL in the meantime argues that the Monday night fixture was not introduced for commercial reasons, but rather to allow clubs playing in the Europa League more time to rest between matches. That argument, however, was very much nullified by RB Leipzig, who had to play Thursday, Monday, Thursday, last week. Die Roten Bullen looked deflated in the second leg against Napoli and were fortunate to go through in the end. Dortmund are more fortunate that they will not have to play this upcoming Thursday—the round of 16 of the Europa League does not start until the following week. At the same time whether clubs helped by having to play in a Monday Thursday rhythm potentially is more than questionable. With fans protesting, and clubs unhappy about the Monday night game, there is now a real sense that the experiment could be ended by next season. But until then there will be four more Monday night games with Augsburg having to travel to Dortmund this week. On paper, this should be an attractive game between second-placed Borussia Dortmund and tenth-placed Augsburg, who with a win could jump as high as seventh. Dortmund in the meantime will want to improve from two poor performances against Gladbach and Atalanta. Both games ended with positive results for the Yellow and Blacks, but in truth, Peter Stöger’s squad was not convincing in either of the two games. Eintracht Frankfurt’s surprise defeat to VfB Stuttgart could mean that with a victory on Monday Dortmund could open up a gap of four points to a non-Champions League spots. Without the fans, backing up his side Stöger’s side will have to play much better on Monday than against Atalanta and Gladbach to get a result against a well-organised Augsburg side that can be difficult to play against. Given Dortmund’s overall individual superiority the Yellow and Blacks should win this game. Marco Reus’ absence from the starting line-up could be felt in Italy. Without him, Dortmund struggled to break down a well-organised Atalanta side. 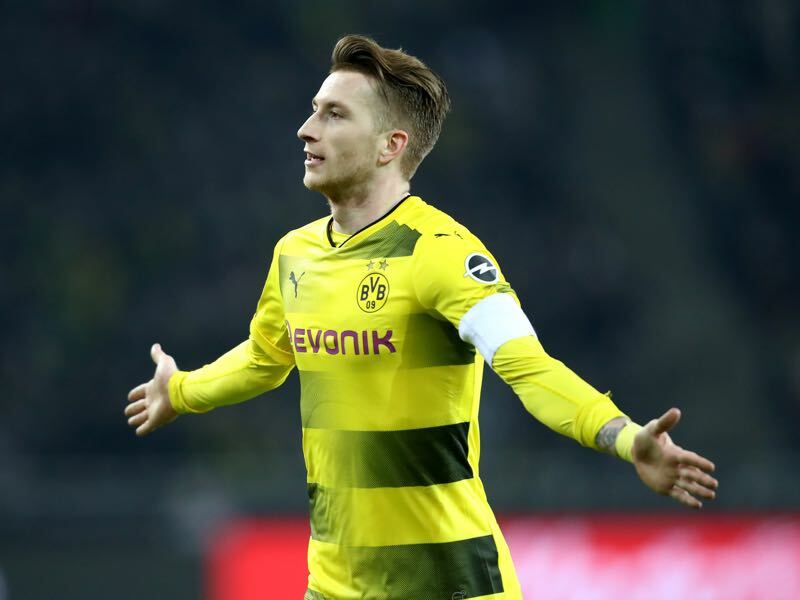 Once on the pitch, however, Dortmund were much improved and eventually found the goal that decided the tie after Reus decoded the Italian’s defence and created the situation that led to the goal by Marcel Schmelzer. The game in Italy highlighted that Dortmund are very much dependent on the individual brilliance of their key player. 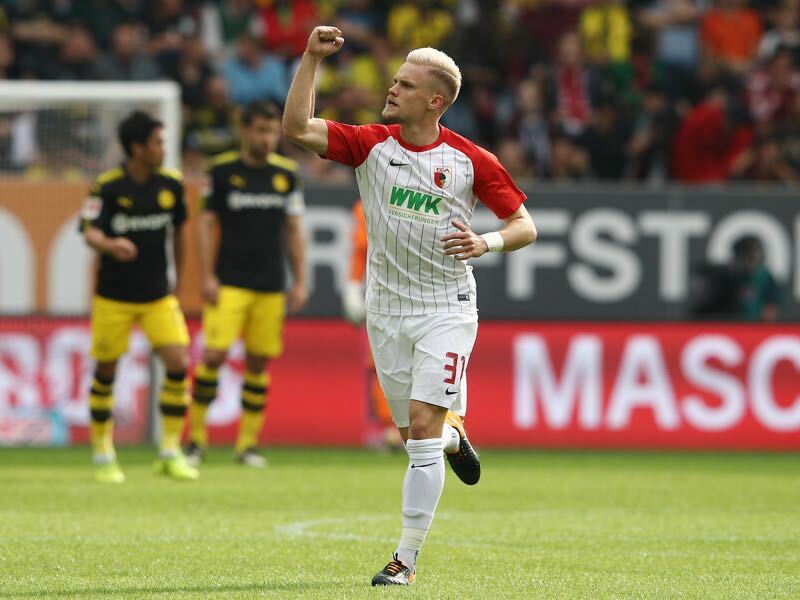 Philipp Max is having a break out year and is by some considered a potential candidate to make Germany’s World Cup squad this summer. Max leads the league with eleven assists in 23 games, and there have been some suggestions that the wing-back could be Augsburg’s next outgoing mega-transfer. Peter Stöger has been undefeated in his first eight Bundesliga matches, which is a new record. Thomas Tuchel and Peter Bosz each managed to stay undefeated in their first seven games in charge of Borussia Dortmund. Stöger has never won a game as a head coach against FC Augsburg (D3 L4). Reus has scored four goals and provided five assists in his last nine games against Augsburg. Borussia Dortmund have won their last four competitive games; that never happened under previous coach Peter Bosz.